My detecting buddy is over his spider bite but his wife was still recovering. They think one of their dogs (which has that Maltese-type fur) may have bought the Redback spider into the house and into their bed on its fur. Seems plausible although we'll never know how it happened. Either way, they're better now. Yesterday I took an exploratory trip to a few areas near Bathurst. 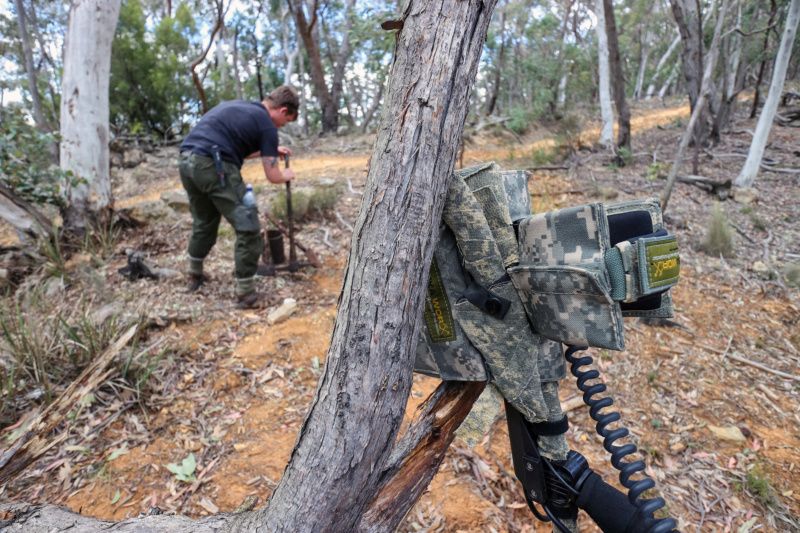 For a couple of hours in the morning we stopped by the Sunny Corner State Forest to check out a few locations and to examine the roads there in preparation for a future picnic with a sluice. I had to update my Fossicking Permit since it had expired - as I hadn't needed to visit a State Forest in quite a while. We saw a couple of young folks panning enthusiastically for gold on one of the most popular creeks there and we saw quite a few trail-bike riders out enjoying themselves. 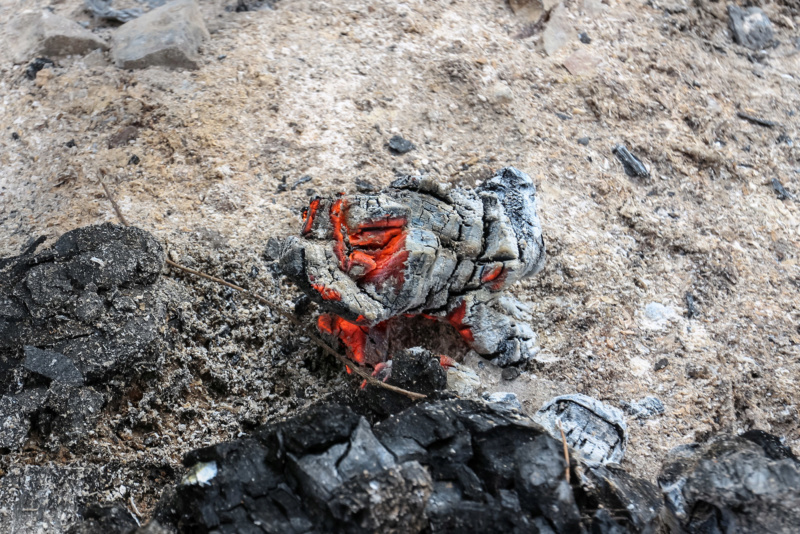 Someone had left a campfire burning (which was madness) and we tried to put it out with water from the creek and soil. It disgusts me that there are people out there who have no respect for the environment they have access to. The evidence indicated the people who left the fire burning had been digging for gold beside the creek just before we'd arrived. The ice from the esky they'd carried their beer in was still unmelted on the ground next to both the fire itself and another pile near their digging spot. We took some pictures and left. We were pretty damned angry about this. We drove to Yetholme to buy lunch and water and then made our way to where I wanted to explore. I've always felt that the further you can get from 'easy access' sites, the better your chances are at finding gold. I'm sure there's exceptions to that rule, of course. On the freeway a freshly hit adult kangaroo was laying in the middle of the oncoming traffic and an approaching truck appeared to deliberately go out of his way to run down the animal (which wasn't moving). It pretty much exploded over the side of our vehicle as we passed, heading in the opposite direction and the sound it made was horrible. 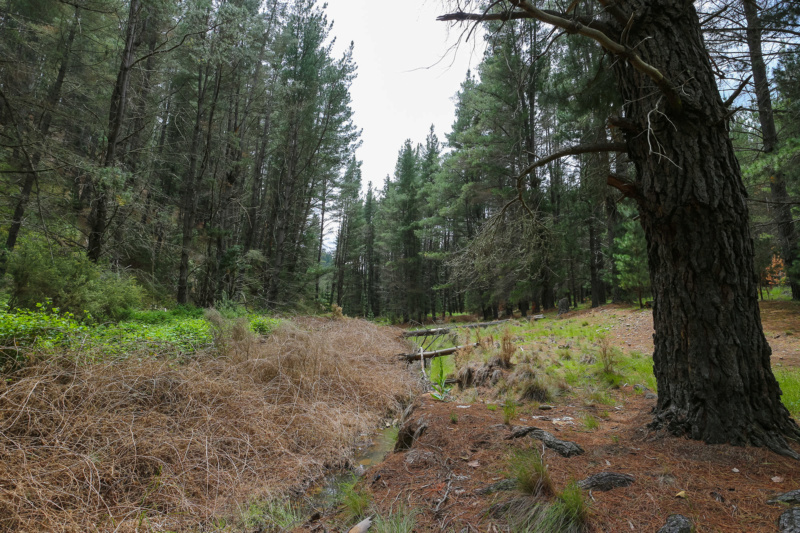 Approaching the renewable wood Pine Forests at Sunny Corner from the North. Looking for something I found years ago when I had no GPS to mark it with. Been a while since I used the Double-D Coil. I usually use an 18" NFA coil but the sloped hill I was going to be exploring requires a lot of back and forth travel to cover the area properly and that's quite hard to do with a larger coil at an angle. Looking up. 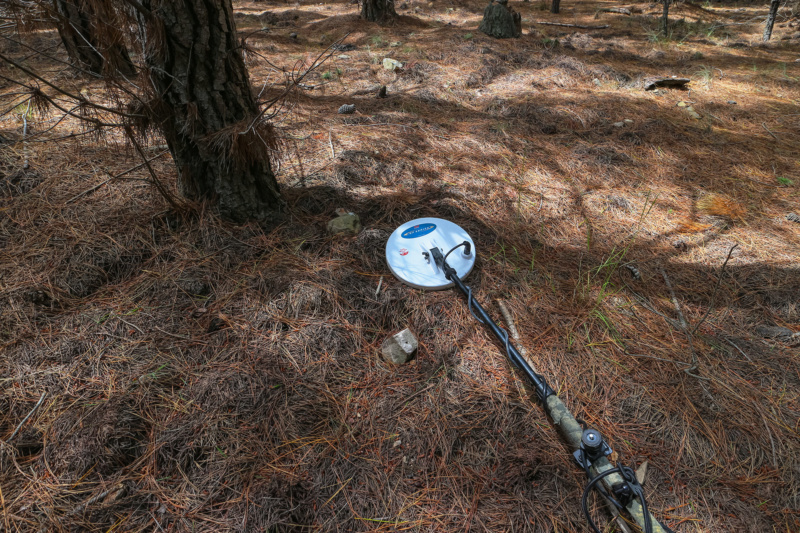 When the cloud cover is uniform, you can easily lose your way in the Pine forests without a GPS. It's a lesson I learned in this very same section of this very same forest over 10 years ago. 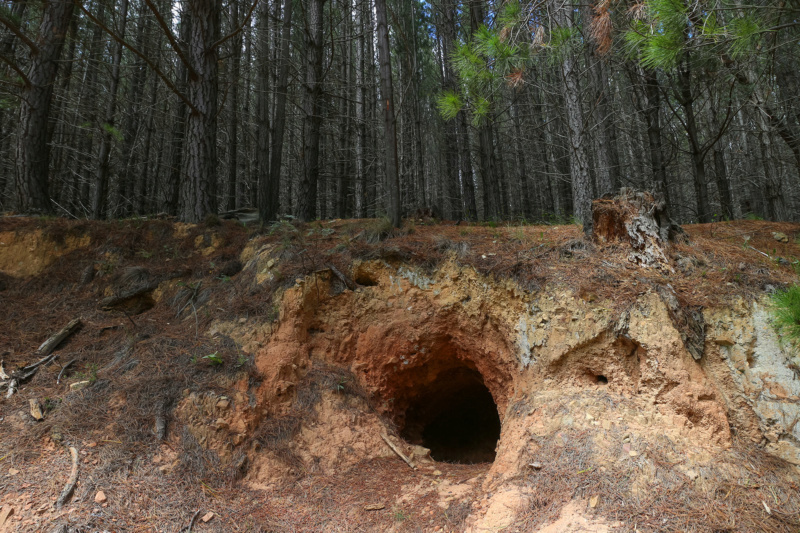 One of the old prospector's holes beside the road. It's a shallow one and probably affords space for a couple of people in the event of heavy rain. I could see the layers of river stones in the walls so presumably they abandoned this hole when the samples gave up no gold... otherwise it would have been a heck of a lot deeper. There's a lot of narrower entrances in the hillsides around this one that most modern fossickers would never fit through. Some douche-bags who had been digging for gold in Mitchell's Creek yesterday dumped the ice out of their esky (which was still melting when we arrived) and left the fire burning before leaving. It takes an absolutely mindless MORON to leave a fire burning in a a forest after the winds we've had this week. Glowing embers giving off sparks in the breeze were in the fire. They broke several other rules while they were there including not filling in their holes and undercutting the banks to access gravels. 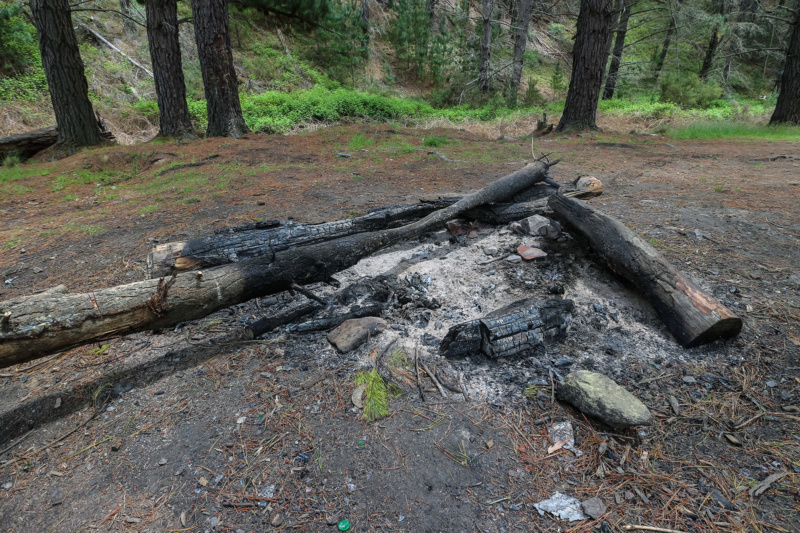 They also left small amounts of rubbish behind around their fire. Dead Blackberry Bushes lining the creek at Sunny Corner appeared to be choking the waterway. These blackberry bushes are often sprayed by the forestry workers to kill them. I believe the herbicide they use is called "rust" and they usually have warnings for visitors not to drink the water when they've been spraying.... though we didn't see any. 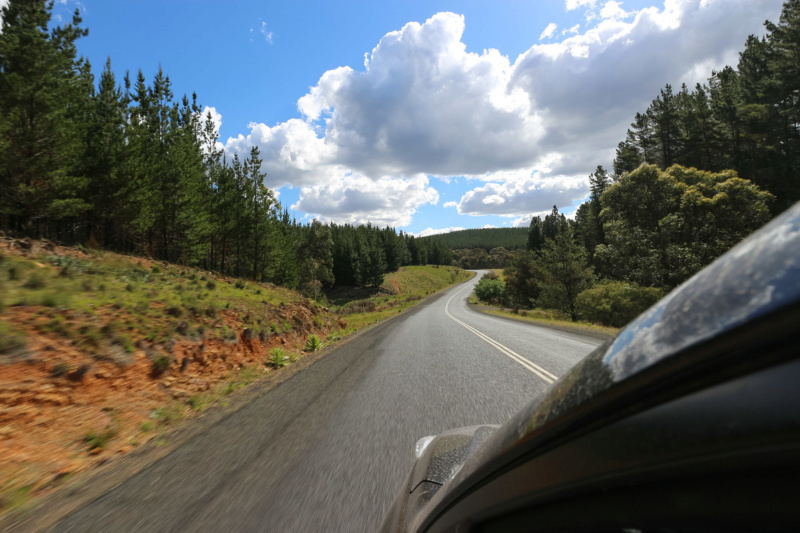 We drove for quite a while to get to another forest which was all native plants and vegetation. It took a while to navigate with both paper maps and satellite imagery to where I wanted to stop. I'd been researching this location for years but didn't have a combination of ideal weather, time, people and vehicle to access it with. I don't doubt other members here may have visited this place at some time or another but I've found a little gold there yesterday and want to return again soon. I remember when a certain Gold-chasing couple named a spot they allegedly found some gold at on the forums and on their YouTube videos and triggered a nasty little rush on the spot ...which was described as a "disgrace" and "utter mayhem" by those who witnessed it. The area I was visiting was within the Bathurst region but I'll leave it at that for the moment since that covers an enormous area. It had a reputation for gold diggings but also for isolation and inaccessibility. The track was washed out at various locations and eventually it was necessary to leave the vehicle and venture in on foot for several hours. It was worth the effort, even though the return trip was uphill from the midpoint of a steep valley. I'd downloaded some screen-grabs from Google Earth to my iPhone so I could see where the various trails led. Was worth it just for the exploration value and we found some old miner's stash of equipment hidden behind a dead tree during the original gold rush in the 1800s. The handles were mostly eroded or eaten away but it surprised me how well they'd held up exposed to the weather. The handle on the shovel was completely gone. The handle on the pick had been exposed to fire at some point. 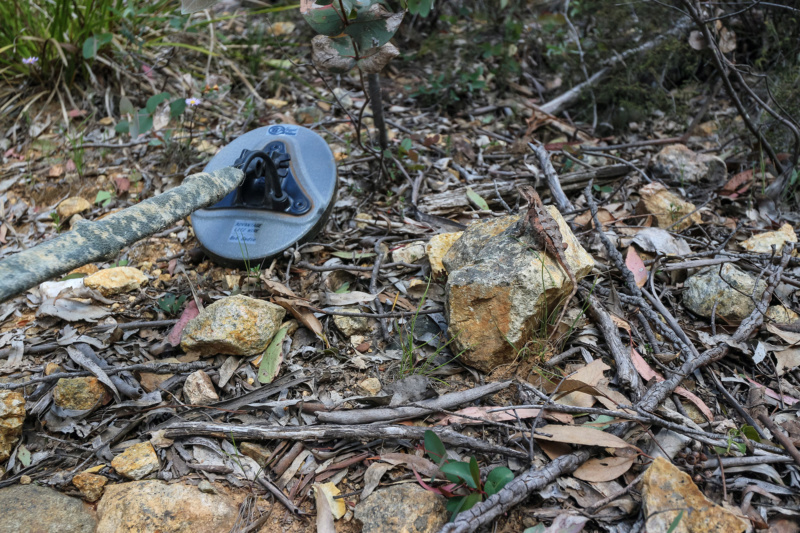 They were protected by a layer of dirt and it was the smooth curvature of the dolly pot sticking out from behind a rock that caught my eye when I was approaching. We had to check for wasps before moving two extremely heavy fallen trees and several branches so we could dig out the relics. Inside the iron dolly pot was a very decently preserved iron axe which, despite all the rust and a vertically split handle, still appears to have a decent edge on it. I'd love to know what the story was behind this collection. No snakes sighted although I was wearing my gaiters and reinforced boots. The Jumper ants nearly got us more than once but no bites. Plenty of honey bees drinking water from small pools in the track. Saw some interesting species of ants but I didn't have a macro lens with me. Shotty gold in the roots of a fallen tree stump. I found an upturned tree that had a mixture of large stones fused to the clay in the roots. The sensitive coil picked out some small bits of gold the size of two pinheads so we decided to dig all the clay out and take it with us. We easily pulled the stones away and scraped all the clay into the miner's dolly pot which we'd lined with a plastic bag (that was to wrap my control box in the event of rain). The yellow clay broke down easily in water later and we had a mixture of both fine and coarse gold which we then ultrasonically cleaned, bleached and tumbled lightly to bring out the shine. We also checked out over half a dozen other fallen trees in the same area with no sign of gold in any of the soil in their roots. Some years ago I had some luck in Sofala after a storm hit there back around 2007 ...and pulled out 6 small nuggets of between 1.2 and 2.7 grams in size (each) with an X-Terra 70. I've been tempted to check out the roots of the larger native trees that have fallen in recent days every time I see them now. The old X-Terra wasn't as sensitive as a GPX with a small NF coil so that's my go-to tool now since everyone else with a big coil stands a chance of missing the tiny nuggets and I can get the smaller coils into spots where the larger ones can't reach. I was almost tempted to use the 6" coil on the X-Terra again. It's a great coil and a lightweight system but I sometimes feel I might miss something when I don't use a PI detector. I've been interested in considering an SDC recently although I don't want to be spending more money on equipment that I might not use as regularly as I ought to. Yesterday was an interesting one. I tend not to stay out for days at a time (which is a much better way to find gold) although I miss doing that. Next trip out, I hope to make it to the floor of the valley and I'm convinced there's some good gold to be found down there. No doubt mixed with plenty more relics from the past. Wherever the water had been running, there was occasional rubbish that was retained in the clay. This steel staple was annoying and gave off a very large signal. Occasional bullet casings and iron fragments were around. 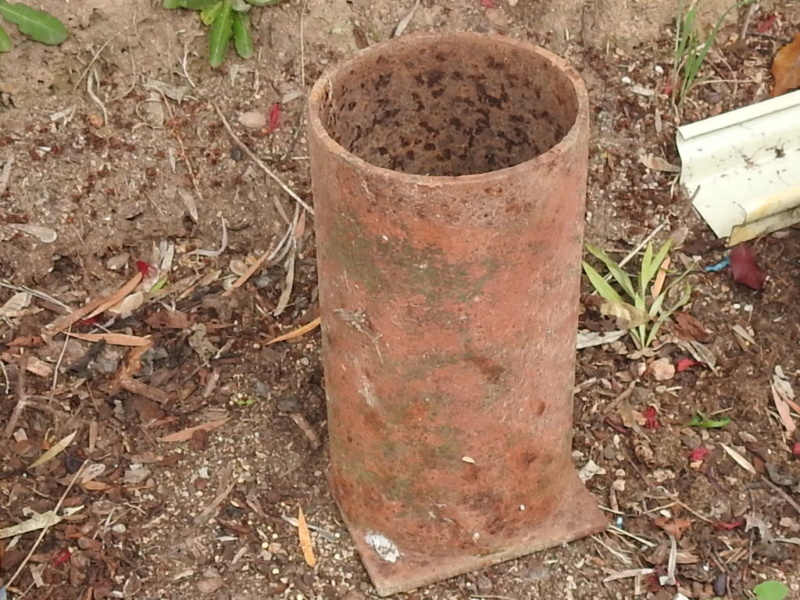 We also found small rusted iron bolts and an oil filter from a vintage machine. 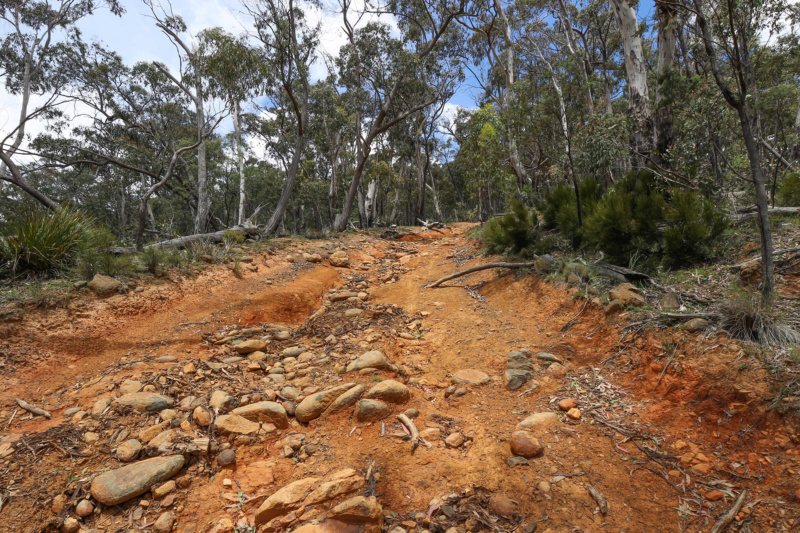 A washed out track with extremely aged bedrock containing volcanic-ash encased rocks, riverbed and various grey clays. 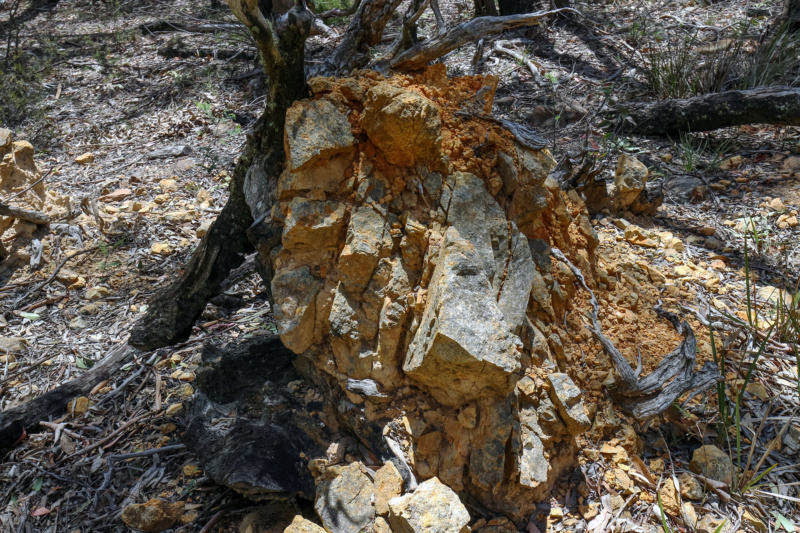 Some of the older exposed material was decomposing and there were plenty of smashed quartz samples on the surface everywhere. Some fossils were evident (plant fossils). 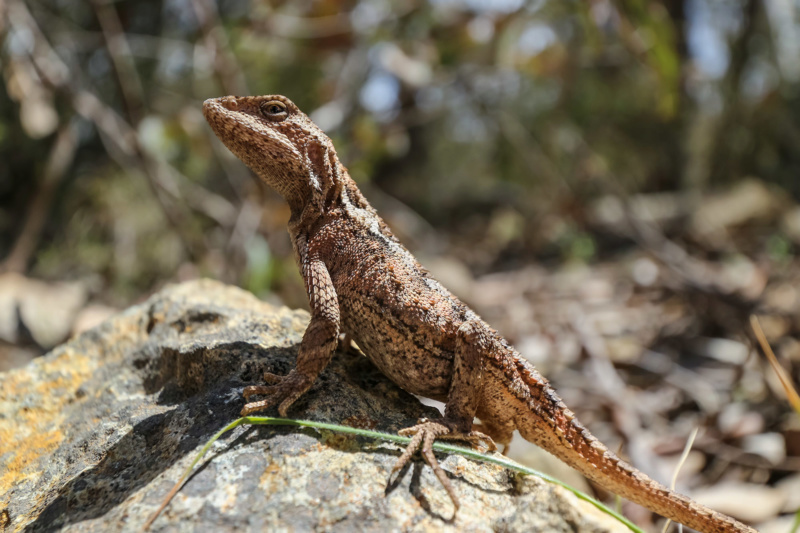 This fairly tame 'Mountain Dragon' (that's it's common name) was guarding an abandoned stash of miners equipment. It's very similar to a Jacky Lizard. 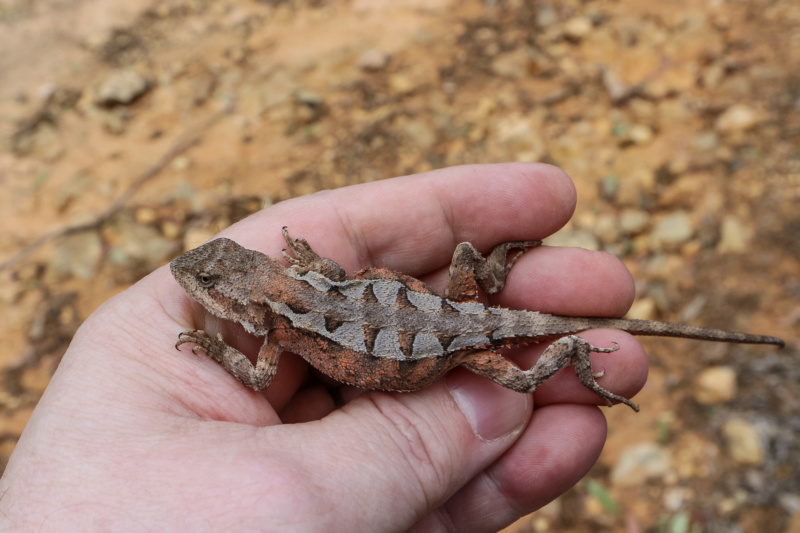 The 'Mountain Dragon' (Rankinia diemensis) that was sitting on the track. I wouldn't have noticed it if the lizard hadn't moved. He had a girlfriend nearby so we left him there where we found him. Seemed quite tame too. I only had a wide-angle lens for landscapes with me yesterday so I had to get right up next to him to take this picture. The scale of the tiny lizard next to the small coil (lizard is sitting on a rock to the right). 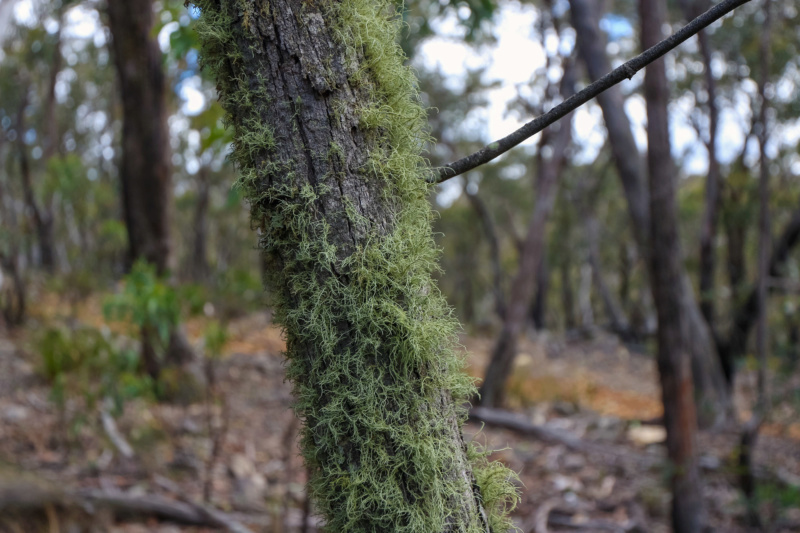 Mossy growth on the trees. 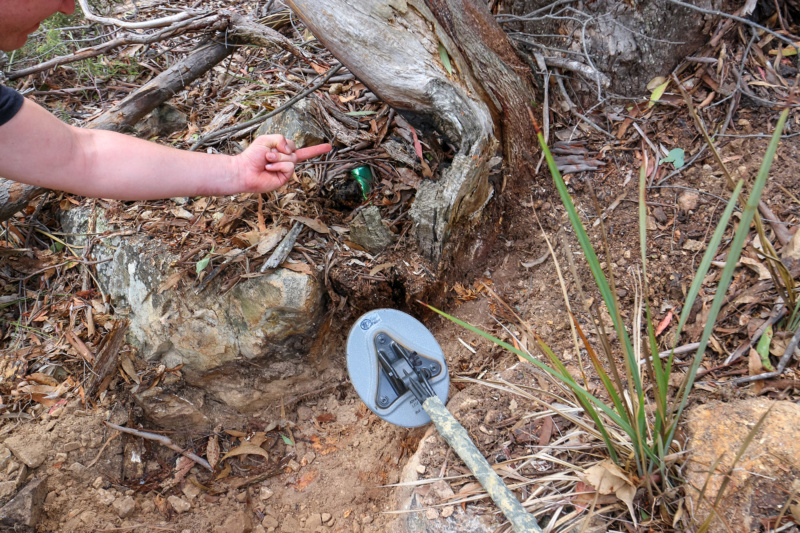 At the base of this small tree was an old iron tub (not shown) and under the iron tub was a nest of spider webs... We found a massive grey wolf spider inside a Funnel Web spider nest with the half eaten funnel web spider still in the web tube. I haven't seen that before. 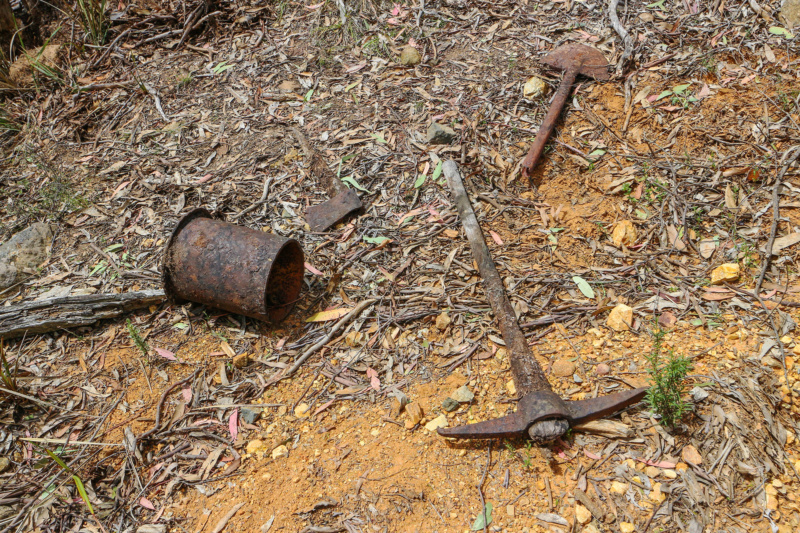 An abandoned set of equipment with specimens of quartz containing copper and gold. The equipment was presumably abandoned between 1851 and 1878 and includes an Axe, a Pick, a Shovel and a Dolly Pot for crushing ore. The head of the axe appears to have been used to crush the quartz and still had a very keen edge, despite the rust. It was found inside the Dolly Pot. The Broad Arrow symbol - often accompanied by the initials "BO" (Board Of Ordinance) signifies Government Ownership. This was stamped on the Shovel and also on the Pick. The pick appears to have other markings but they're covered in rust. An "O" is visible next to the Broad Arrow stamp so it's presumably part of the Government Ordinance stamp. Recovering the old miner's equipment from the soil under a tree resulted in an onslaught from an angry nest of Golden-tailed Spiny Ants - Polyrhachis (Hagiomyrma) - which came pouring out of the ground and covered our own equipment. They don't sting but they do bite before spraying formic acid into the wound. An illusive but strong target "beneath" the artifacts turned out to be a modern can of V (energy drink) that was behind the tree. I suggested clearing the leaf litter from the rear of the tree before we continued digging and that exposed the offending article. It was very disappointing because we had imagined a buried strongbox or partially refined crude ingot under the tools. The signal seemed to be coming from under the roots of an older long-dead tree... but was on the surface just nearby. The soil between these stones under an upturned tree gave up quite a surprising amount of gold that was later panned. Around 16.3 grams of really coarse but bright material. 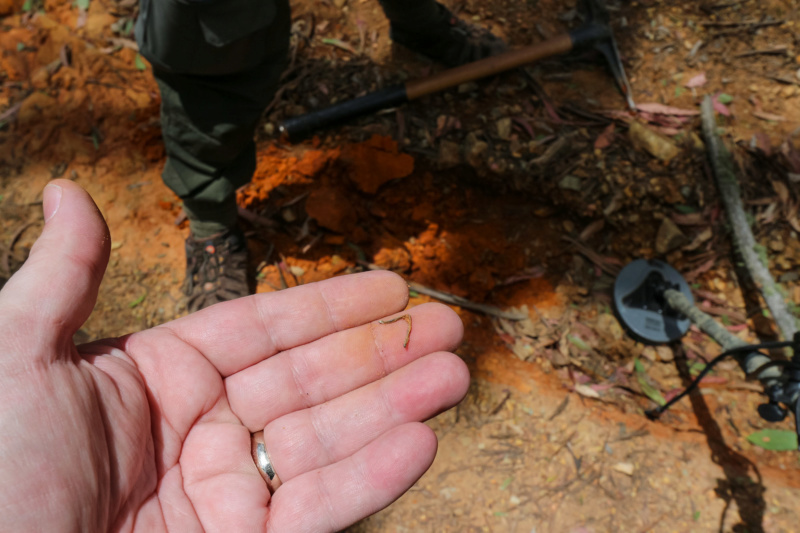 We didn't know how much gold was in the soil until we washed the sample at another site about an hour away. The rocks were all "wiggly" and it took less than ten seconds to break them away with a pick and by hand to access the soil. The metal detector pinged on quite a few pieces of small gold which inspired me to take all the dirt with us and leave nothing behind. Couldn't pick up anything in the ground nearby. 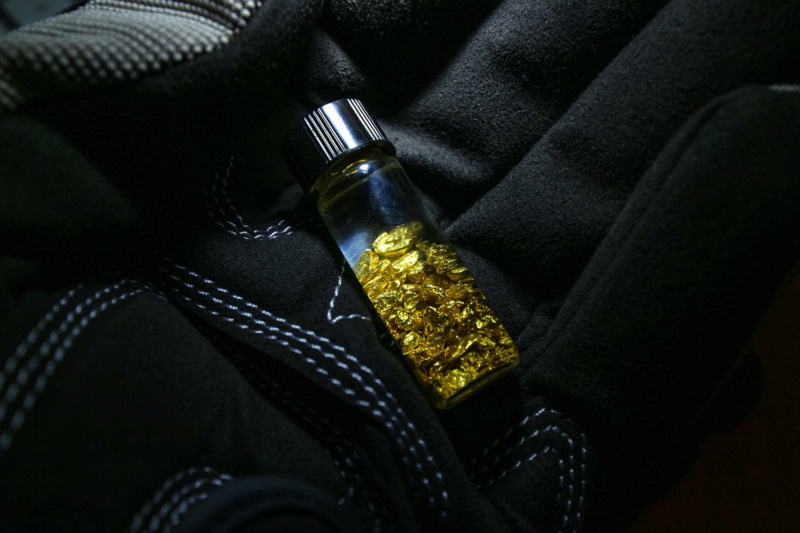 We separated all of the finer material and put the coarser alluvial gold into this specimen jar - after bleaching in oxalic acid overnight and then giving it a tumble and a bath in an ultrasonic cleaner. It looks canary-yellow in daylight and I've mixed some glycerine soap with the water to keep it clean. The torchlight makes it look shinier than it is. it had more of a matte finish when first separated from the soil but it was all water-worn and had some flattish pieces mixed in that looked like they'd been squished. Mostly little pickers... the magnification of the water and glass makes them look a lot bigger. The pieces look to be entirely river-worn and tumbled with no sharp edges. If anyone has any thoughts or knowledge about these old tools, I'd like to hear it. I'm sure there's an interesting story behind these things that we'll never get to learn about. I see the tip of the pick is curled over from when it presumably struck something hard. I sometimes find broken pick heads but never one with the wooden handle intact... although this one looks ready to snap in the middle. Great post & pics Nero. Interesting to still be able find those types of relics so close to a track these days. That old dolly pot looks similar to mine and like that one, mine has not been used for a while now. Good story and pics Nero. It's always interesting to see the local wildlife and other things nature offers us as we walk around. Annoying about the fire. I see that they must have over-sized the campfire with the number of the logs and thickness too. Thanks for posting and good luck. adrian ss wrote: Great post & pics Nero. It's interesting to see how similar they are. There's a seam visible inside the one I found where the metal has been either cast or even shaped from a flat slab of iron. 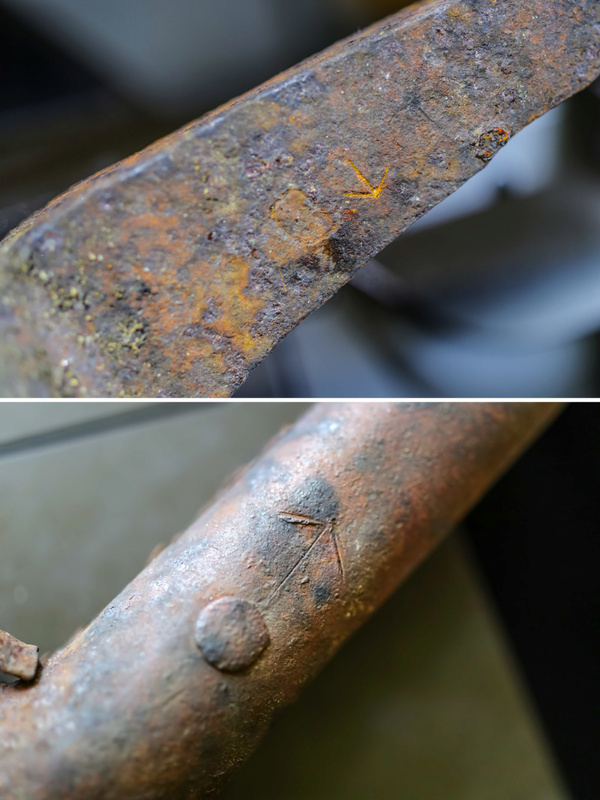 At first I was wary of the weld mark at the bottom but then I remembered that welding (eg Forge Welding with iron) has been around since 1000 BC. I don't know what method they used to make this Dolly Pot but it could have been Braised. The thickness looks quite similar to yours. I don't know if any convicts were used to cut the tracks out there but leg irons (some with cannon balls attached) were found by fossickers about 30 minutes away from where we were and they were found using relic detectors. I'm afraid my Dolly Pot is more of a mortar and pestle. 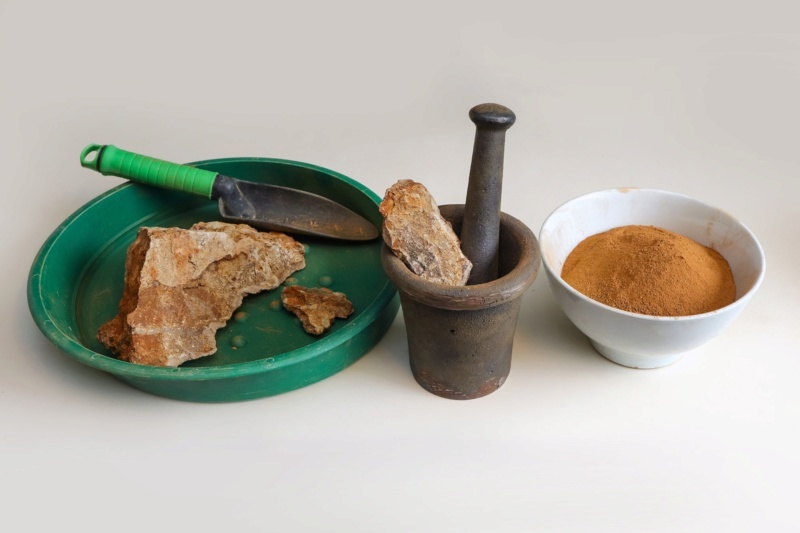 The red powder in the bowl is literally from these same quartz specimens I was crushing and nothing else. My neighbors were probably ticked off because i did this at home one night. I crushed these samples into a fine red dust but there was barely any gold in the panned samples. Not worth the blisters at all. I bought this one from the Miners Den when they were available but I haven't seen them for sale in a while. I think the standing-use versions like yours are much easier on the hands. Mine is not all that old. I guess it is a hard to tell exactly how old it is. The top appears to have been cut with a gas torch I got it from an old fella a long time ago who was getting rid of his prospecting gear. It is made from 5.4mm iron for the pot ant 6.5 mm for the base. If there is a seam in the pipe I cannot see it. The dolly was originally painted green on the outside but that has almost all worn away. Nero an exceptional post I really enjoy and look forward to your posts.Thank you. deutran wrote: Nero an exceptional post I really enjoy and look forward to your posts.Thank you. Hi Nero...I enjoyed the read and the pics were great. Mate you should consider authoring a travel/detecting book. Thanks nero ,that's a great article. I once worked at an ordnance factory and never new the reason behind the arrow symbol. Some info re the military Broad Arrow symbol. It originated a long time ago. 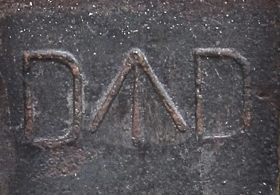 The use of this mark on known pieces of Admiralty pattern pre-dates the 1875 Act and even the existence of the War Office (founded in 1857) and its immediate predecessor the War Department (founded 1855). Previously, the symbol had been associated with the predecessor of the War Department - the Office (subsequently Board) of Ordnance founded by Henry VIII in 1544 to equip the military, both at sea and on land. Since at least 1933 (Ref. 1), it has been argued that the ‘broad arrow’ represented the crest of Sidney and was introduced by Philip Sidney, Earl of Romney who was Master of the Ordnance from 1693-1702. Seventeenth century sources have, however, shown its use pre-dating this by over a quarter of a century. A charter issued by James II to the Tower of London mentioned ‘His Majesty's Mark, the Broad Arrow, [instituted] by his late Majesty's special command’ (Ref. 2) thus indicating its institution by Charles II. This is confirmed by the November 25th December 2nd 1661 edition of The Kingdome’s Intelligencer that reported a Royal proclamation ‘prohibiting the imbezlement of His Majesties Stores for shipping’ issued at Whitehall including the provision that ‘the broad arrow head be put in some part of the [stores]’. The use of the 'broad arrow' can therefore be seen to date from at least 1661 and some of the early references suggest that it was an intrinsically Royal symbol. 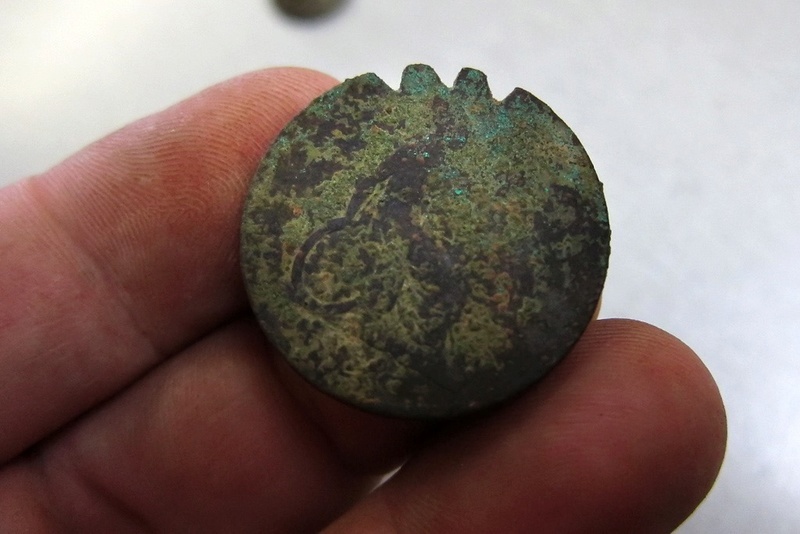 It appears, along with other Royal Symbols, on the coinage produced at the end of Henry VIII’s reign (close to the time he founded the Office of the Ordnance) (Ref. 3). Intriguingly, one reference suggests that the inspiration behind the symbol is the Martyrdom of St. Edmund in 869 (Ref. 4). Whatever its derivation it is difficult to overstate the importance and longevity of the 'broad arrow' as a symbol. 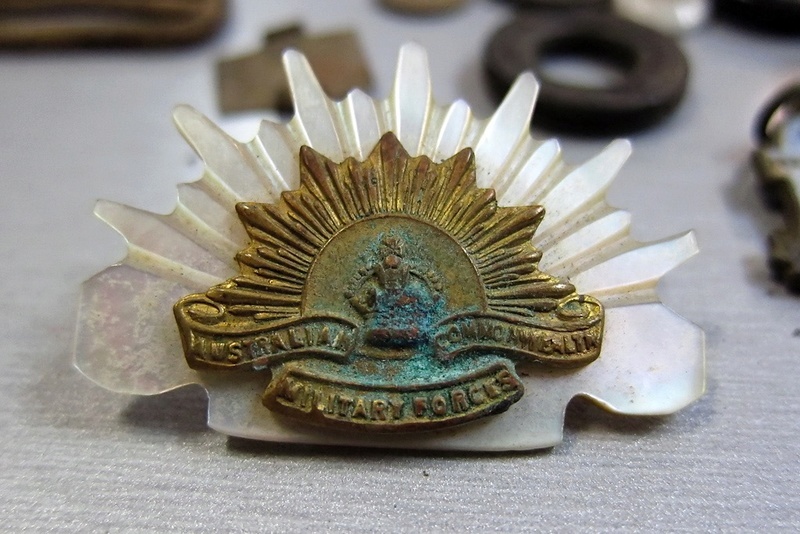 Due to the key role played by the Ordnance (and later the War Office) in the administration of the Empire, its symbols were and still are to be found in many parts of the World. In America, the symbol was used to denote Government property from the late seventeenth century, most probably deriving from the proclamation of 1661 (see above). This meant that it was applied to trees of sufficient size to be used for masts and these were then reserved for sale only to the British crown (thereby denying them for foreign trade and use in local construction). However this law was frequently flouted and the 1772 ‘Pine Tree Riot’ in New Hampshire, triggered by the Government’s enforcement of the law, has been seen as an important test of Royal authority and a precursor to the Boston Tea Party (Ref. 5). In Australia, ‘the Ordnance’ was the department in charge of organising the provisions for the penal colonies (and the ships on which the prisoners were transported). As such the 'broad arrow' appears on the objects discovered on H.M.S. Bounty (Ref. 6) and on the uniforms used in the colony (Ref. 7). The uniform was also illustrated in the Sidney Paget illustrations to Conan Doyle’s short story ‘The Adventure of the Gloria Scott’ published in 1893 (Ref. . The symbol is, however, still in use: an act of 2009 in Victoria saw its introduction as a mark on trees that are not to be felled. In Australia and Bermuda, nineteenth century road markers are still to be found emblazoned with the 'broad arrow'. The symbol is also being applied today in Australia to denote Ministry of Defence Property and in India on the number plates of military vehicles. To return to Great Britain, the Public Stores Act of 1875 is still in force and under it, if ‘any person without lawful authority… applies any one of these marks… he shall be guilty of a misdemeanour… [and] be liable to be imprisoned for a term not exceeding two years’ (Ref. 9). Therefore alongside hallmarks the 'broad arrow' is one of the comparatively few stamps or marks the forging of which is covered by criminal law. 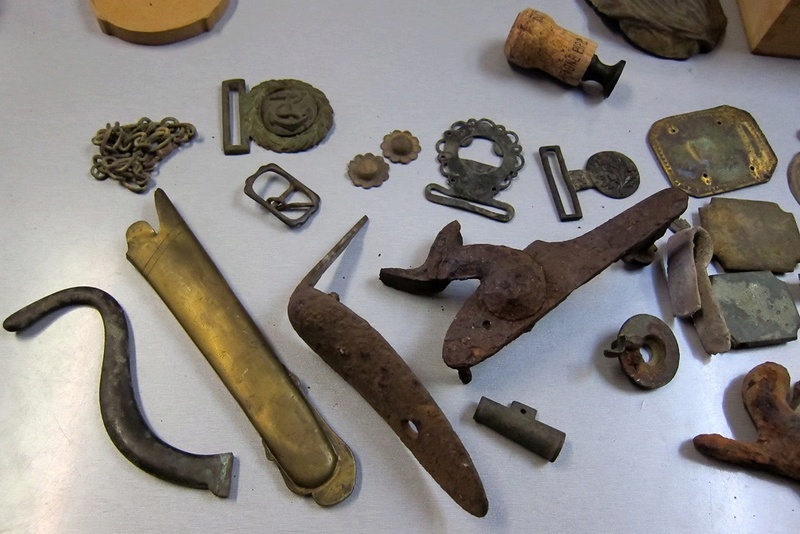 It's possible 1900s D^D tools ended up in the locations where they looked for gold again after the war had ended since many sought gold to pay their bills during the Great Depression in the 1930s. This is where a lot of the lead buckshot comes from when we find it. That buckshot is the result of the prospectors in the early 1900s returning to where gold had been found - and where they shot rabbits to eat the meat and to sell the furs in winter when it was too cold to work in the creeks. 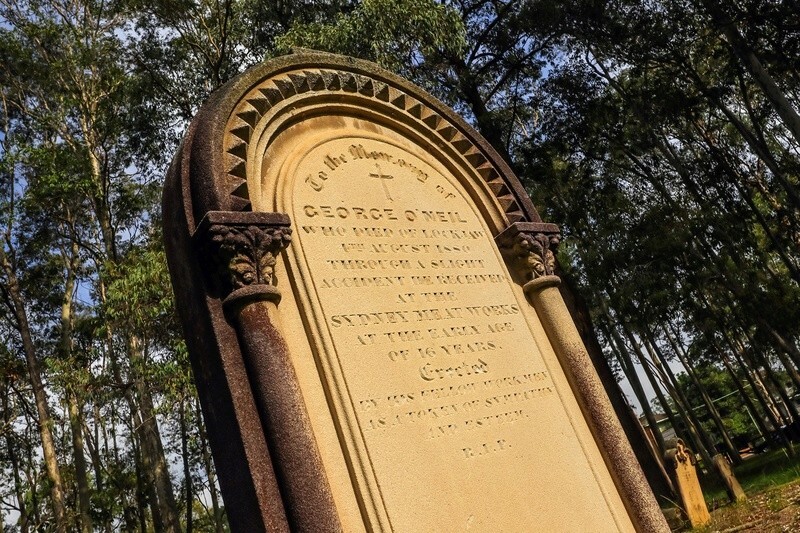 "To the Memory of George O'Neil who died of Lockjaw 4th August 1880 through a slight accident he received at the Sydney Meat Works at the early age of 16 years. Erected by his fellow workmen as a token of sympathy and esteem. R.I.P." The chap I was detecting with with is from the military and is currently home from deployment - and this is why I didn't show his face in the images I posted. You're right about the "D" that appears on the left of the Broad Arrow symbol on the pick. In the photograph I took, the stamping is shown upside down... I was NOT able to determine that the first letter (when inverted to the correct orientation) is a 'D' (which is the one that is hardest to see) and the character hardest to see in the image above is either a B, a D or an O. The clearest symbol looks to be a D but the reason it's hard to tell is that this item was hand-marked. A die did not appear to be used because the characters are not aligned and are not cleanly shaped. They are also of different sizes. The wide spacing between characters is a bit if a giveaway. 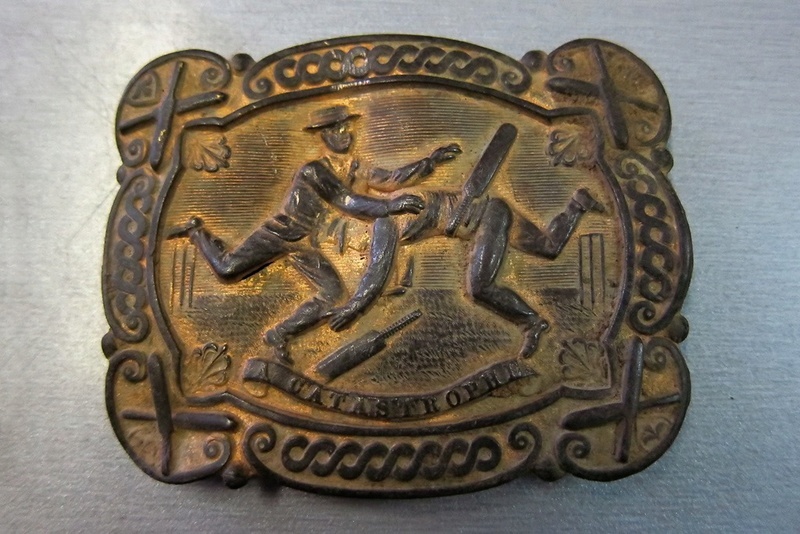 Post-1899 D^D stamps were applied to iron items with a die stamp. So the clearer "D" seems quite passable as an "O" and the first character (which is hard to see in this picture I took - yet you noticed it) looks far more like a 'D' with a straight back... and yet it may yet prove to be a 'B' though I am still contemplating the best way to clean the metal without using electrolysis since the pick is so large. Hand marked D^D symbols were used on 1900-1910 era Cairncross water bottles issued to sailors. 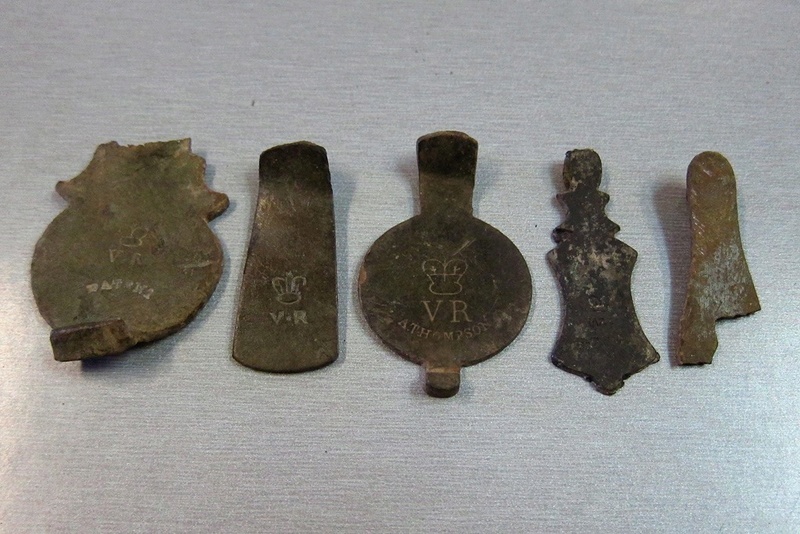 Otherwise, all other implements (especially tools) were stamped with a die when manufactured. Convict Leg Irons with a Weight Ball attached were often marked with other letters such as "R^L"... so there's a variety of configurations. You are right in that it does look to be a D^D mark. Further cleaning will tell. I'm now tempted to dig out some other iron items to see if they are stamped. 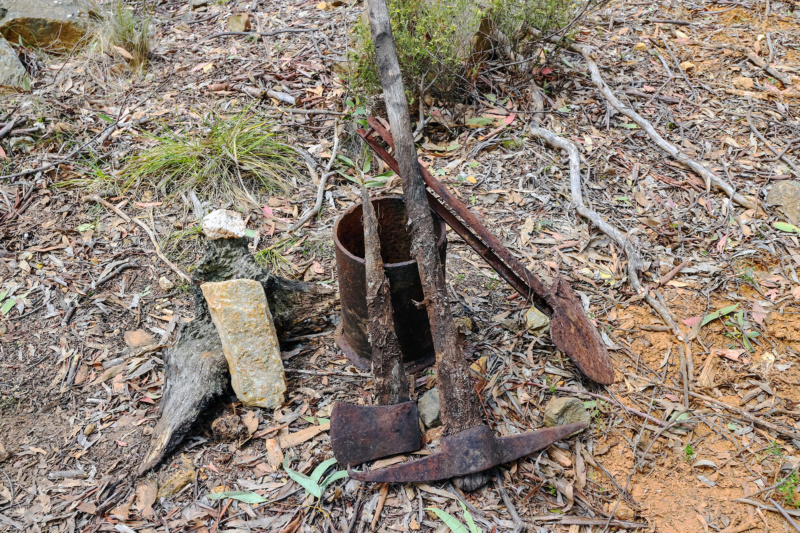 They even stamped the railroad spikes used in the goldfields. Interestingly, the 'Broad Arrow' is still used by the Army today (see pic). The other items are certainly pre-1900s. The 'D^D' mark denotes military (Department of Defence) owned property. But in earlier years they used 'W^D' (War Department). During the colonial days, the Broad Arrow was accompanied by the 'B^O' characters to denote "Board of Ordinance". Prior to this, just the Arrow (^) was used. So the shovel is particularly old. It makes sense that people would have used any tools on hand and would take reasonable care of the more important items. I have not seen any markings on the axe. Although the topside has a bolt inserted into the wood to expand it and prevent it from slipping out. We've been puzzling over this addition. It looks like the owner was trying to prevent the handle from slipping for the steel/iron head of the axe. According to the Australian Army webpage, the symbol of the Broad Arrow was adopted by the Australian Army Ordinance Department at the beginning of the 20th Century. Something that I haven't been able to find online is how the Broad Arrow was used as a symbol by smugglers during Colonial and pre-Colonial days. The smugglers would deliberately stamp the Broad Arrow upside down so that those receiving the smuggled goods could identify it on the docks and in the storehouses. Curiously, it is still a criminal offense to reproduce the Broad Arrow mark in the UK without authority ...and it's illegal to use the Broad Arrow on any good without permission (under Section 4 of the Public Stores Act of 1875). In Australia it's still protected against unauthorized use. Aside from the early design, the Board of Ordinance took over supply in the 1820s. So the shovel may predate this since it carries only the Broad Arrow but not the Govt dept markings that followed the 1820s adoption. Whilst some historians claim that the Broad Arrow symbol is simply an inverted naval anchor symbol that was used by the army due to their archers, the symbol was originally known as the Kings Symbol. The origin and earliest use of the Broad Arrow symbol are still unknown. It's first documented use was in 1330 as a Government Property Mark. Yet the Broad Arrow Tower, built by Henry III of England between 1238 and 1272. in the Tower Of London is said to be named after the royal property mark. 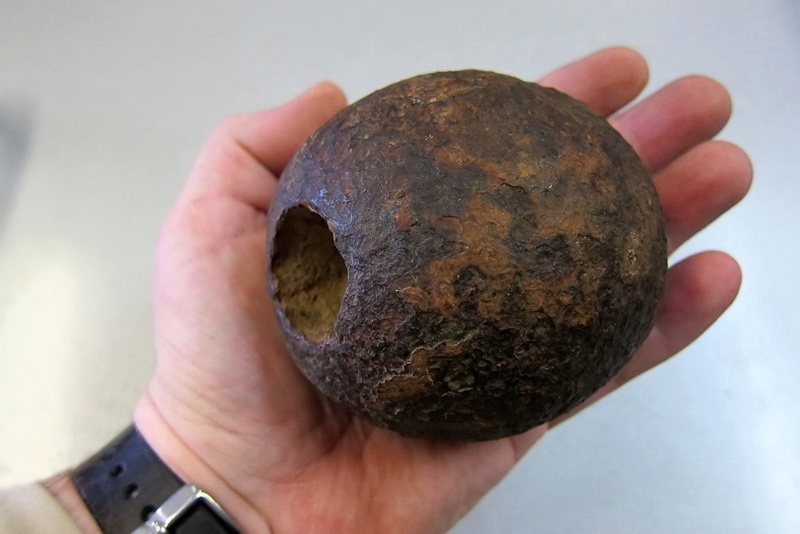 It had also been seen on objects recovered from the Tudor ship Mary Rose, which sank in 1545. The Office Of Ordinance was created by Henry VIII in 1544, It became the Board Of Ordinance in 1597 and supplied guns, ammunition and store equipment to the King's Navy. The Broad Arrow stamp on any of the items in its supply proved ownership of any such item as belonging to the King. 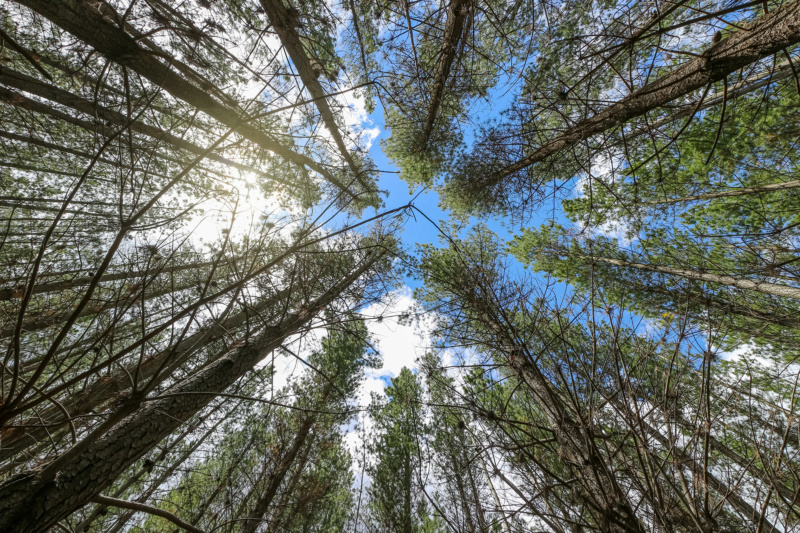 Great Britain had depleted its forests of suitable pine timber by the 17th century. Straight pine trees were needed by the colonies to supply timber for wooden ships, especially old-growth pines for use as their masts. To maintain world dominance of the seas, Great Britain needed the strongest and faster ships. Eastern White Pine made those ships the fastest of their day and superior in battle. As a result, King George 1 of England wanted to ensure that the very best of these trees were kept for official use. Since all of New England was considered Crown Land of the British Empire, the King asserted control of the tallest and largest of these great old-growth trees. To ensure that the best of the mast trees remained available for the Royal Navy ship builders, England declared the largest white pines to be the Property of the King, marked, protected, and harvested for the government's use. The preservation of trees for the mast trade was so important to England that it was written into the Massachusetts Bay Charter of 1691. "For better providing and furnishing of Masts for our Royal Navy wee do hereby reserve to us Our Heires and Successors ALL trees of the diameter of 24 inches and upward of 12 inches from the ground, growing upon any soils or tracts of land within our said Province or Territory not heretofore granted to any private persons. We doe restrains forbid all persons whatsoever from felling, cutting or destroying any such trees without the the Royall Lycence from us Our Heires and Successors first had and obteyned vpon penalty of Forfeiting One Hundred Pounds sterling vnto Ous Our Heires and Successors for every such Tree soe felled cult or destroyed without such Lycence " - The Charter of Massachusetts Bay - 1691"
Each winter, representatives of the King of England would mark white pine trees with a mark called the "King's Broad Arrow" to warn the colonists not to cut them down for their own use. It was made with three hatchet slashes by the King's Royal Surveyors. American colonists and ship builders were irritated. Those with marked timber on their land were not permitted to touch it. 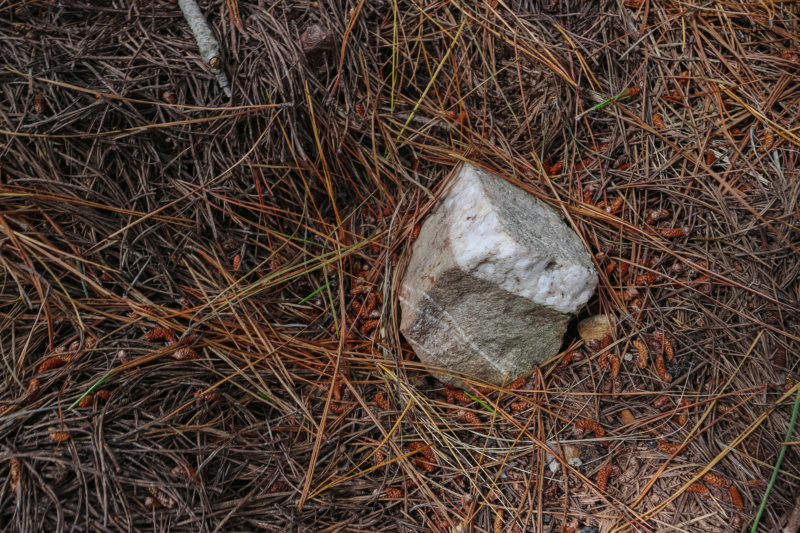 "Swamp Law" was exercised by many of the colonists, whereby many of the "King's Pines" were cut illegally, the "Kings Broad Arrow" mark obliterated and the wood was put to use. So the colonists cut down all the trees marked with the King's Broad Arrow and then placed the broad arrow on smaller trees. This led to the conflicts and skirmishes resulting in "The White Pine War". The monopoly was ended by the American Revolution. The Eastern White Pine was (amusingly) the emblem emblazoned on the first Colonial flag. Another awesome post from you nero, always enjoy reading your posts and learn something new every time, your reply being no different. Im a bit of a militaria collector and was looking at your post on my phone, flipped the phone upside down and saw the familiar D^D through the rust. 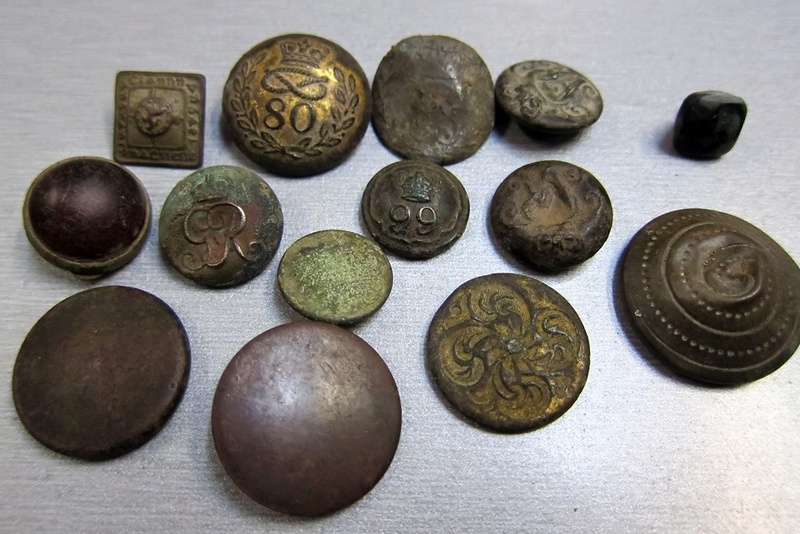 Hopefully you can clean the pieces you found with out any harm to their historical value? 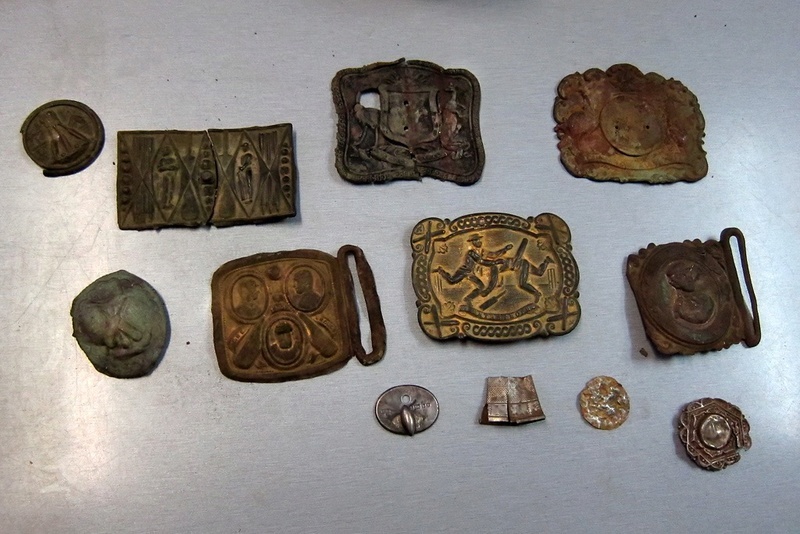 I too enjoy the history that comes to light from our goldfields, tools and relics such as your finds to cricket buckles etc – and knowing so many country towns in Australia owe their existence/heritage and foundations to the pursuit of gold back in the early days. Australians of today don’t realize how much we owe to OUR early “diggers" unfortunately, here and abroad. There's never a day that goes by where I don't learn something new myself. A guy I know who lives between Katoomba and Oberon (Sydney Blue Mountains) detects just OUTSIDE the Bathurst goldfields with a relic machine (an E-Trac from memory... but it might have been an X-Terra 705 for a while). 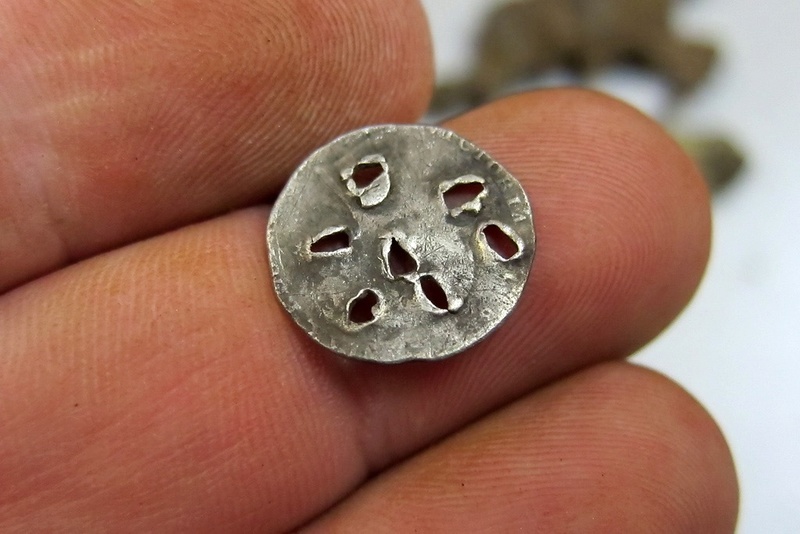 I posted some of these images here before many years ago and members identified several of the mysterious items (two of the coins with cuts and punctures in them turned out to be homemade fish scalers). 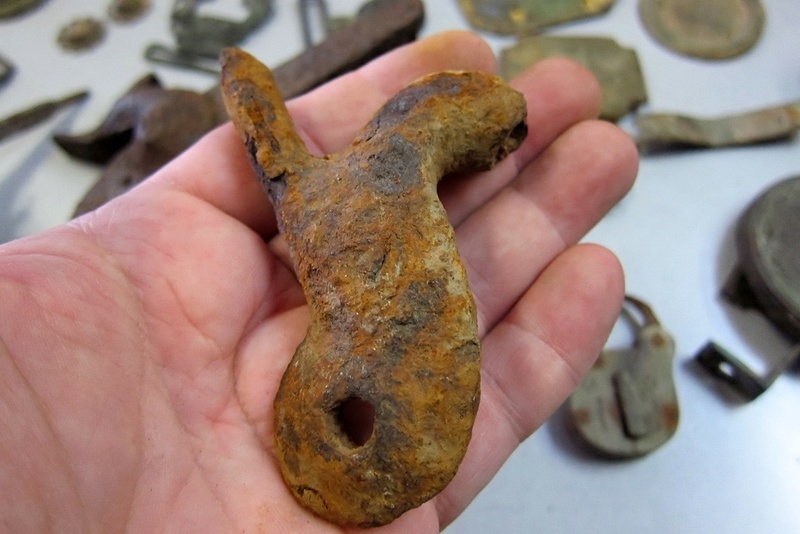 But there were musket hammers, sword scabbard tips, sly-grog Sherry bottle seals, army badges and even a Cannon ball that had a hole right through it because it was once attached to a set of convict leg irons. He had a lot more than this. I was amazed at home many strongbox locks with 'VR' (Victoria Regina) on them he had found, some with signs of being cut or blasted off their strongbox seal. I'll re-post a few of his finds that I photographed below: It makes me wonder how much is still out there! Thanks Nero. Really enjoyed your article.